The much-awaited Tata Hexa has officially launched in India with an introductory price tag of Rs 11.99 lakh (ex-showroom, Delhi). 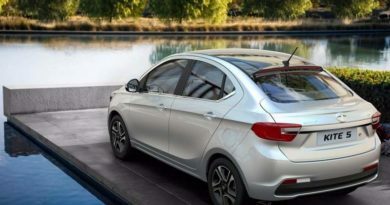 The company has revealed the Hexa last year itself and the bookings for the same were initiated in November. 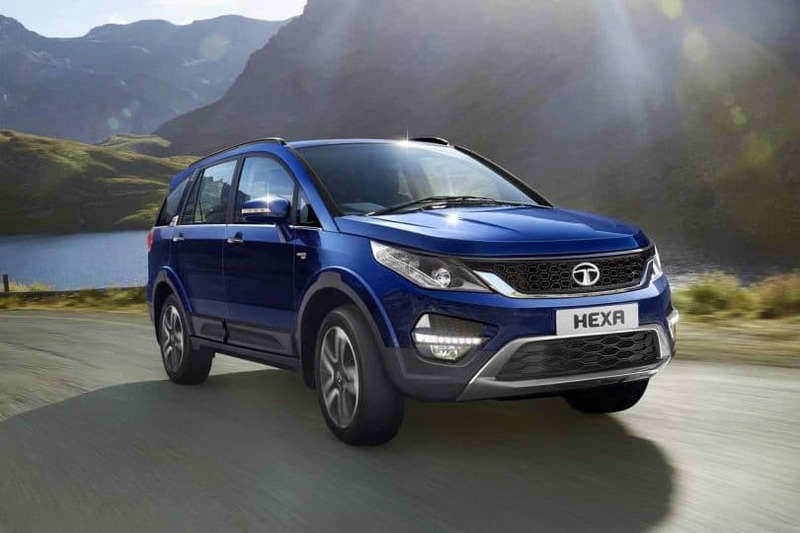 Tata Hexa is the company’s attempt to enter a whole new segment of SUV’s and utility vehicles. Although, the company has previously attempted to enter this space with the Aria crossover, but that product couldn’t do well in the market. The Hexa can be called slightly masculine version of the Aria that can challenge the rivals like Mahindra XUV500 and the Toyota Innova Crysta. Powering the Hexa is a 2.2-litre Varicor diesel unit that can be had in two states of tune. The base XE variant’s engine produces 150PS of power and 320Nm of torque. While in all other variants- XM, XMA, XT, XTA and XT 4X4, the engine makes 156PS of power and 400Nm of torque. The XMA and XTA use an Automatic transmission, and rest of the variants gets a 6-speed manual unit. 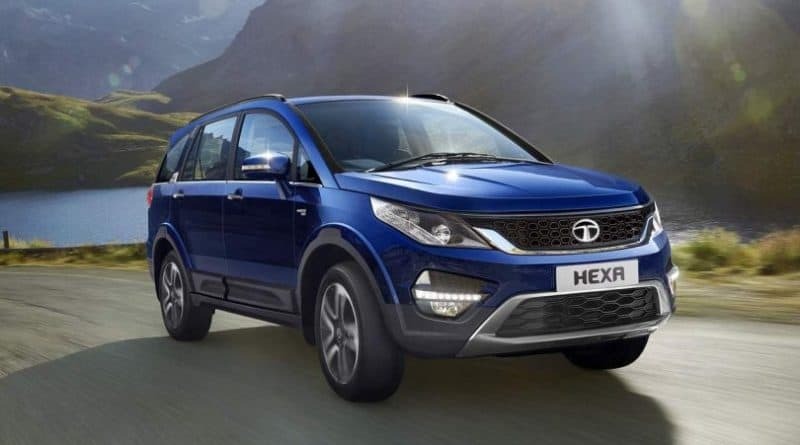 Starting from the Base variant, the Tata Hexa is well equipped with features like ABS with EBD, Dual-airbags, rear AC vents for all three rows, cooled glovebox, 6-speaker audio system with ConnectNext tech, LED taillights, and Projector Headlamps. The upper variants also get rear parking sensor, heated side mirrors, touchscreen infotainment unit, hill hold control, sports mode, and 8-speaker audio system. To give a unique experience to the customer, the Tata Hexa offers extensive customisation options. There are 3 kits available for the same- Tuff, Luxe and Expedition. Moreover, one can also pick accessories separately and mix & match them. 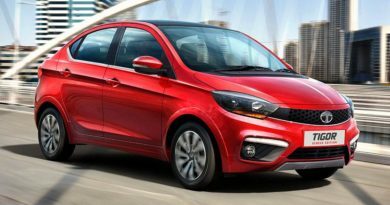 Tata is focussing a lot on R&D lately. Read this to know more- Tata Opening Innovation Centres Globally? With its attractive price tag, Tata Hexa is certainly the most value for money 7-seater SUV you can buy today. The Hexa provides ample road presence, interior space, offroading capability, and a long list of features. However, it lacks a premium X-factor to it, giving playing space for the competition. Jeep Compass gains the most due to this because of its brand value. It might not have a feature list to match Hexa, and it might not be 7-seater. But, it does everything else slightly better than the Hexa. It’s comfortable, fun to drive, and a good offroader. The Compass cost around Rs 20 lakhs. 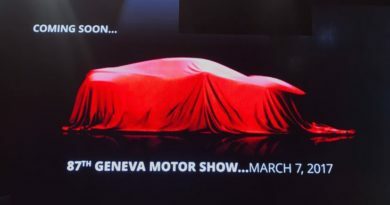 Then there is Tucson, the most expensive SUV in this segment. It has all the ethos of a premium car. Take off the Hyundai badge and you might mistake it for a German car. It is loaded with safety features and latest tech. The ride quality is very car-like. This is also its negative point because it does not feel as rugged or macho like the above-mentioned SUVs.